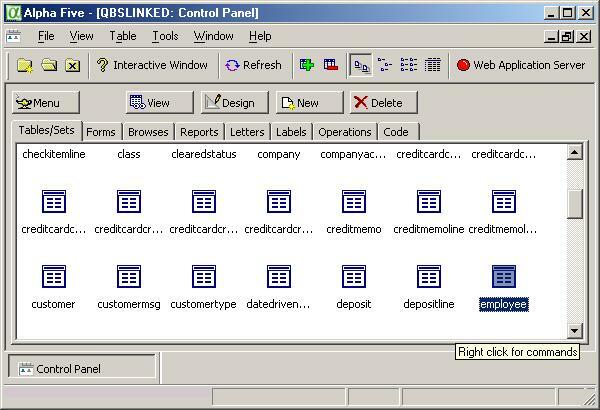 Alpha Five is a preferred partner of FLEXquarters.com LLC, and the Alpha Five software is an excellent choice for end users to develop web and desktop applications based on the QODBC Driver for QuickBooks. We believe you will be impressed by its ease of use and flexibility in creating applications without complicated coding. 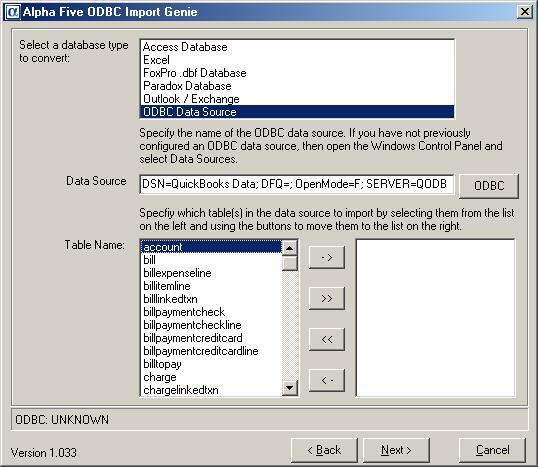 Alpha Five can offer smooth running attractive web documents containing live QuickBooks data when using the QODBC Driver. 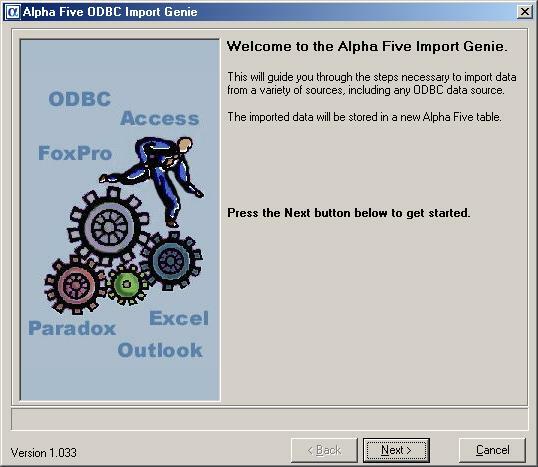 Install Alpha Five on your web server, along with QuickBooks and the QODBC Driver. Click to download a free trial of Alpha Five Web Edition. Start Alpha Five and create a new database, it could be called QuickBooks.adb - it is a holder for the entire application. 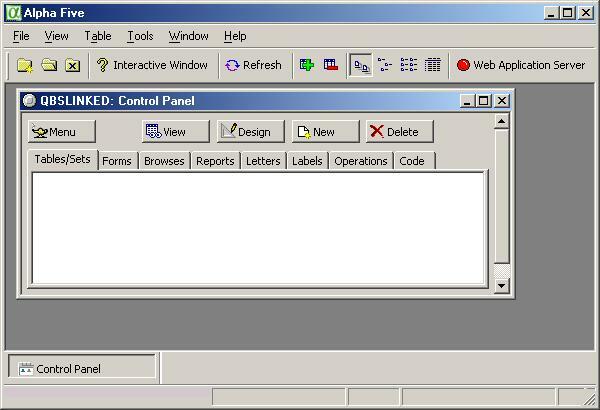 Make sure the web server component has a green light on the top, indicating that it is running. 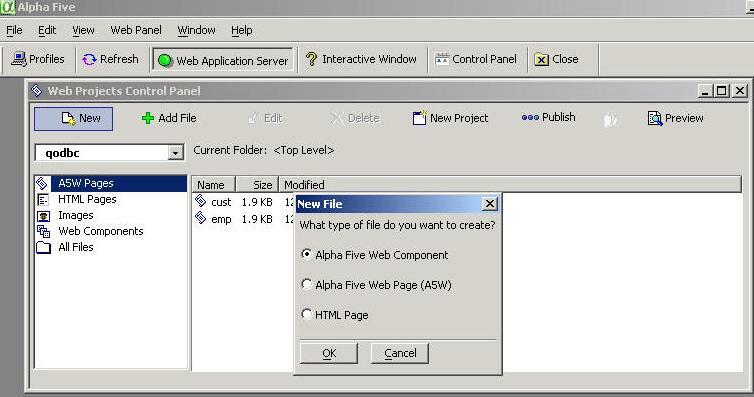 Click the Web Projects button -> Click New -> choose Alpha Five Web Component -> click OK. Choose the Component Type as Grid. Under the Grid Builder, we will be filling in each of the three tabs on the left to complete the project. 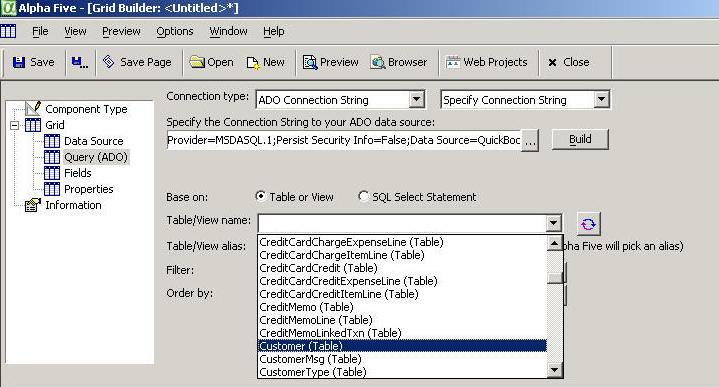 The first click on Data Source, choose ADO/ODBC/Access option. Click Query (ADO) tab. Change connection type to ADO Connection String. Change Use Named Connection String to Specify Connection String. Click the Build button. The Data Link Properties will pop-up with the Connection tab selected. 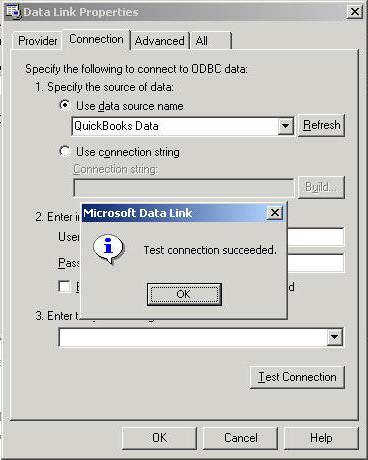 Use the Data Source Name QuickBooks Data, then click the Test Connection button. Do a small celebration dance when it works. 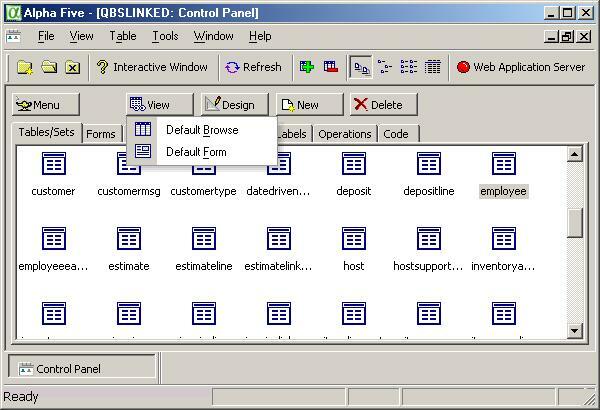 Click OK twice then click the Connect button, which will ask the QODBC Driver for the list of tables available from QuickBooks. This list will vary depending on which version of QuickBooks you are running. Click the Fields tab on the tree, and then choose which fields from those available you would like to show in the grid/list of records by clicking the arrow buttons. Click the Save button and name the web component, something like "cust". Click the Save Page button, click Save Page and name it "cust". At this point, you should be ready to test your web application. 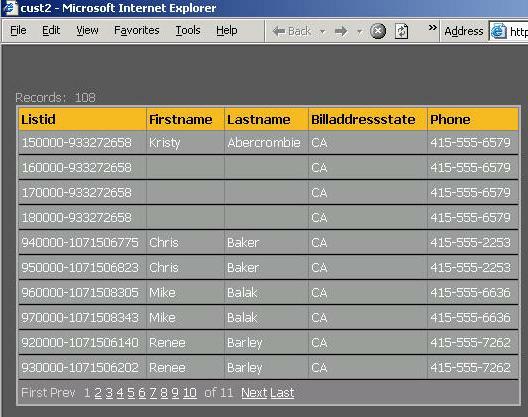 Click the Live Preview tab on the bottom and you should see the data from QuickBooks in a grid. Click the top menu option for Preview / Live Prevue in Browser. 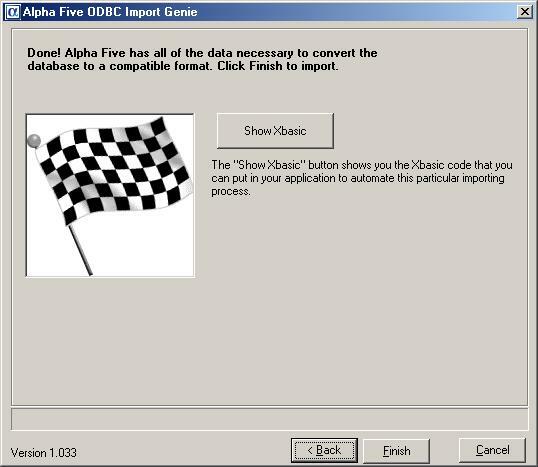 You now have your first working web application with Alpha Five using live QuickBooks data via the QODBC Driver. Now add your own touches and launch it on the web, the possibilities are endless and the ease of use is unmatched. 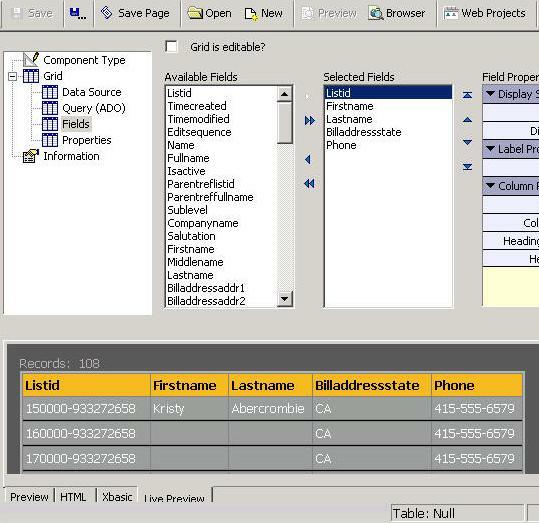 Alpha Five has made importing QuickBooks® data into a database a breeze, even if you’re a novice to database design. 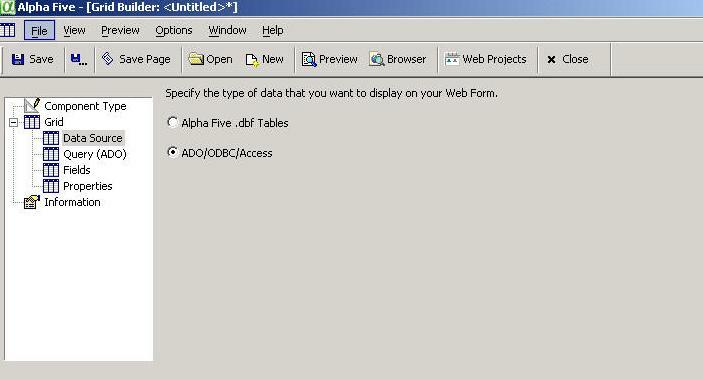 With Alpha Five and QODBC installed, just open QuickBooks and open the company file. The Import Genie walks you right through the process. 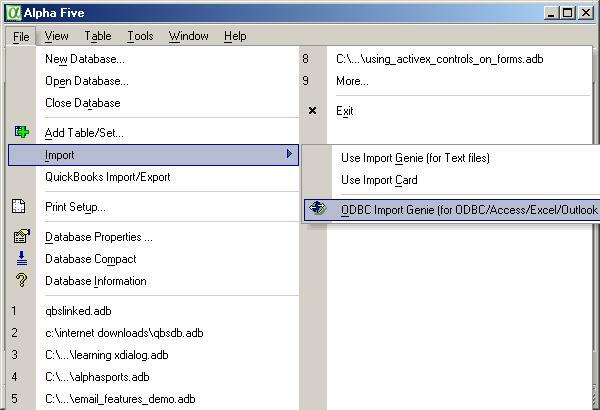 Select ODBC Data Source as the type to convert and then select the QuickBooks DSN as the source to use and voila, all the tables available through QODBC are listed. Click on the >> button to convert all tables or select the ones you opt for by clicking ->. 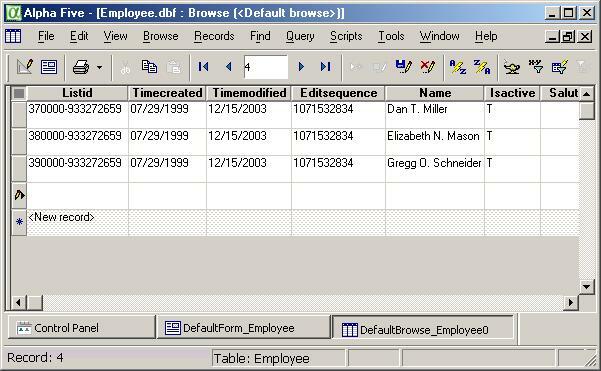 Select the SQL Dialect - No [ ] around table names option if asked. Click on the Finish button and let the genie do its work! Once the tables have been imported Alpha Five lists all the tables that you selected for import. 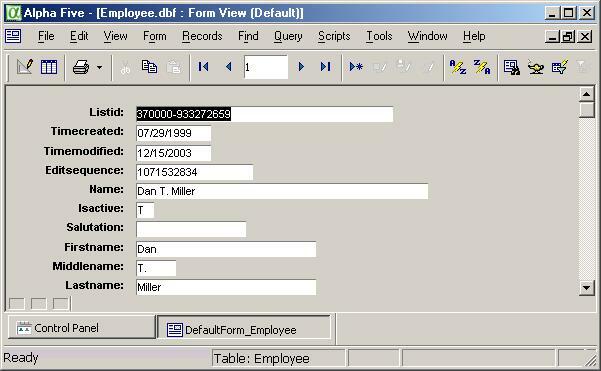 By highlighting a table name and clicking on the View button, Alpha Five gives you 2 separate views of the data both of which can be customized to fit your needs. It’s as easy as that! Does not match my Alpha5 10.5 Application Server file creation sequence.